Home » States » Archive for category "Alabama"
CoxMHP is proud to provide high quality AS9100C machine shop services to customers located in many states. We love to handle precision machining services for customers located in Alabama. Working for customers located throughout the state of Alabama is a of great interest for CoxMHP. We work with many types of industries and at many points in the manufacturing process including mechanical testing, product manufacturing and prototype creation. We have committed to producing the best manufactured parts and assemblies for our customers. Our ISO9001/ AS9100C Certification shows that quality is paramount and that CoxMHP can deliver on time. CoxMHP is well know for solving complex manufacturing challenges and offers a wide arrange of brazing, machining and assembly solutions for your materials and products. CoxMHP utilizes our Morton and Flowood facilities for an array of production jobs. Our products and tools are of the highest quality on the market and our craftsmanship displays that CoxMHP can be a real precision machining partner. 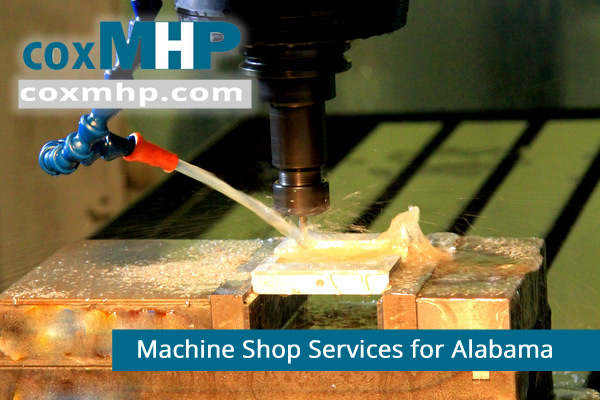 Give us a call at 1-866-280-5639 for more information on how CoxMHP can provide precision machine shop services to your Alabama based company.